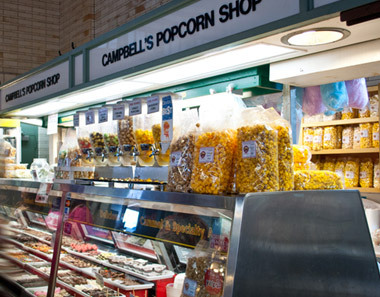 Home>Events>Valentine’s Day at Campbell’s Sweets! 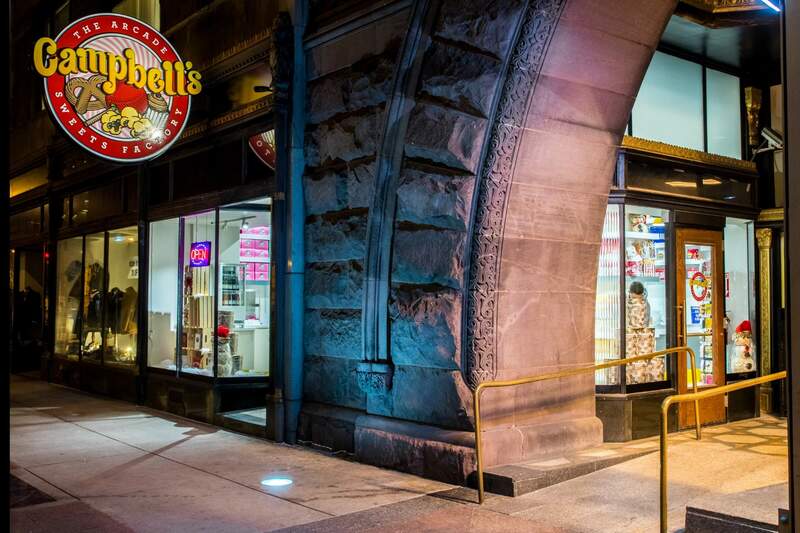 Valentine’s Day at Campbell’s Sweets! 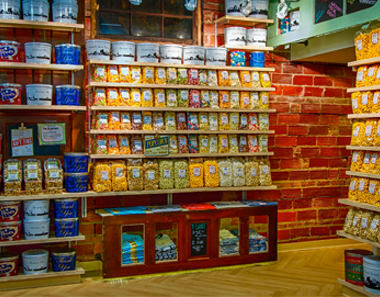 It’s the time of year again for hearts, flowers, candies, and obviously: popcorn! 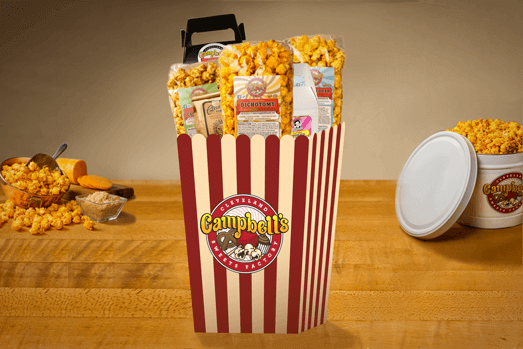 We’re getting into the Valentine’s Day celebration at Campbell’s! 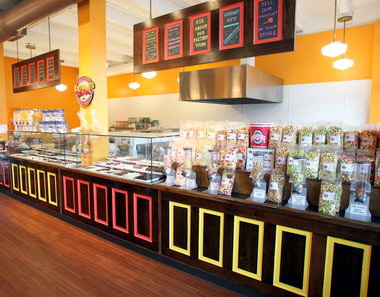 We’ll of course have a bunch of special items at our locations, such as Chocolate Covered Strawberries, special Cupcake flavors, sweet popcorn seasonals & more! Visit us anytime now through Wednesday, February 14th to check out the great deals and products we’re offering in our our stores, and be sure to follow our social media for even more savings, contests, & more! 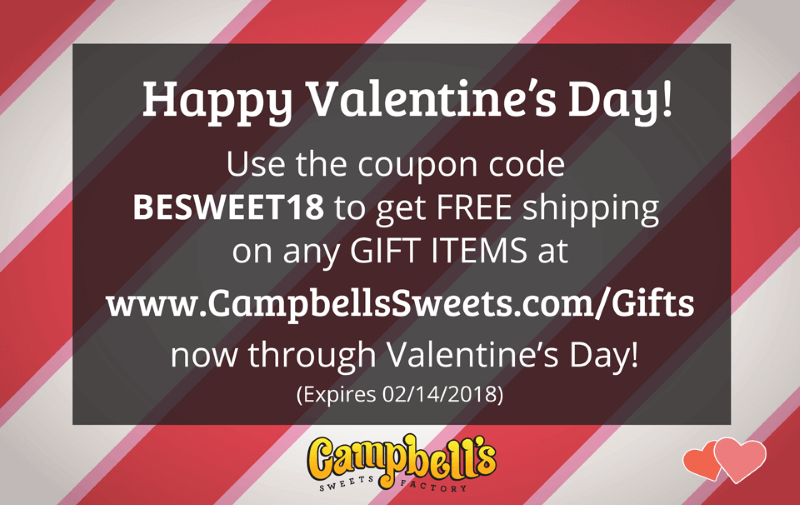 Use the code BESWEET18 at checkout for FREE SHIPPING on any GIFT ITEMS at CampbellsSweets.com/Gifts, February 1st – February 14th! There are all kinds of great gifts to choose from, so send your sweetie some goodies today!